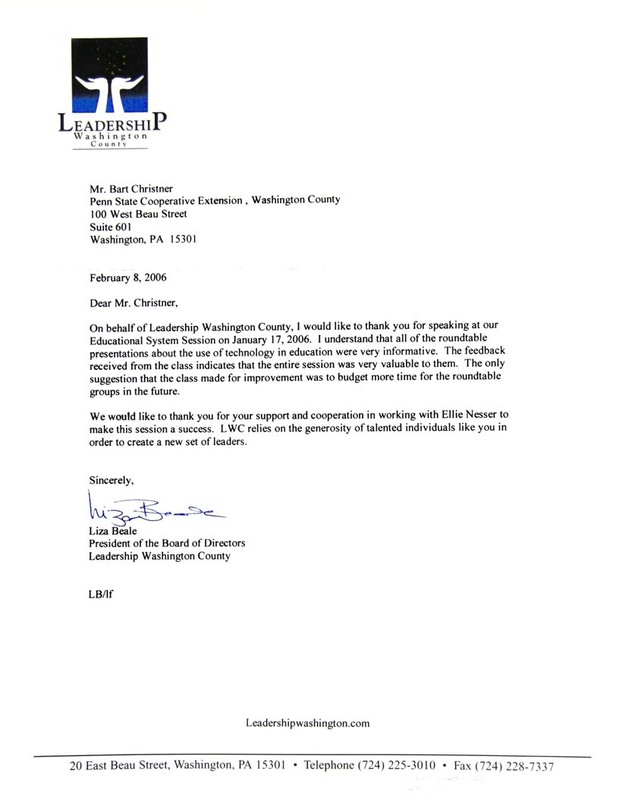 On behalf of Leadership Washington County, I would like to thank you for speaking at our Educational System Session on January 17, 2006. I understand that all of the roundtable presentations about the use of technology in education were very informative. The feedback received from the class indicates the entire session was very valuable to them. The only suggestion that the class made for improvement was to budget more time for the roundtable groups in the future. We would like to thank you for your support and cooperation in working with Ellie Nesser to make this session a success. LWC relies on the generosity of talented individuals like you in order to create a new set of leaders.